Private clouds allow them to leverage existing, in-house computing resources to run new or modernized applications without the cost and delay of buying and installing new hardware. Private clouds are a practical starting point for cloud adoption; companies want to ensure they’re maximizing the use of data center resources they already have installed before paying to provision additional computing resources in public clouds. 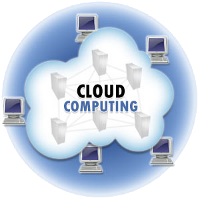 Yestilo views cloud computing as a continuum of leverage, opportunity and benefit. From 700 € Request a budget! From 300 € Request a budget! From 550 € Request a budget! From 250 € Request a budget!